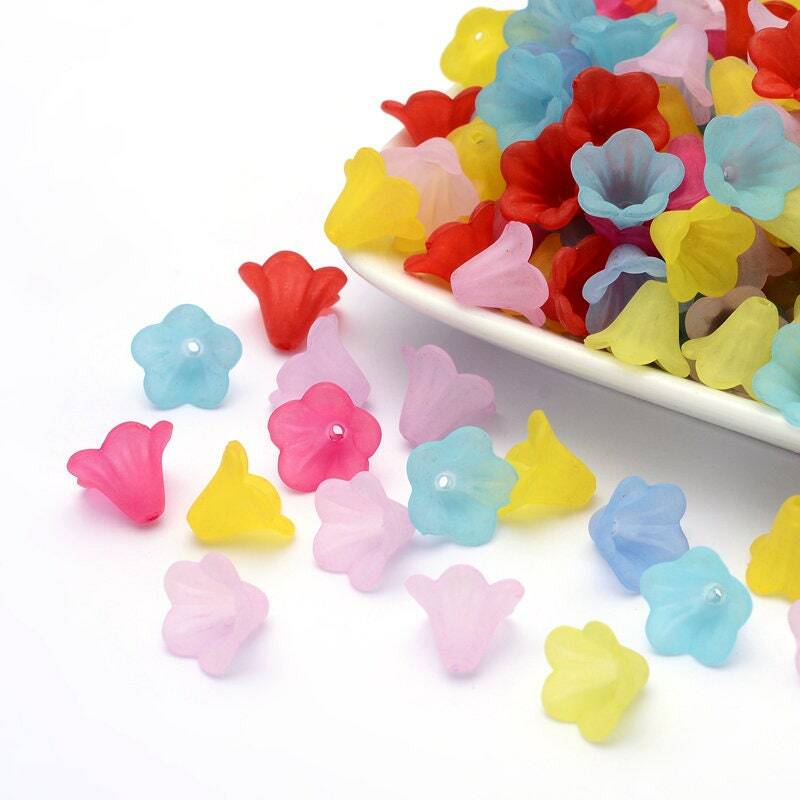 Lovely opaque acrylic mixed color bell flower beads. 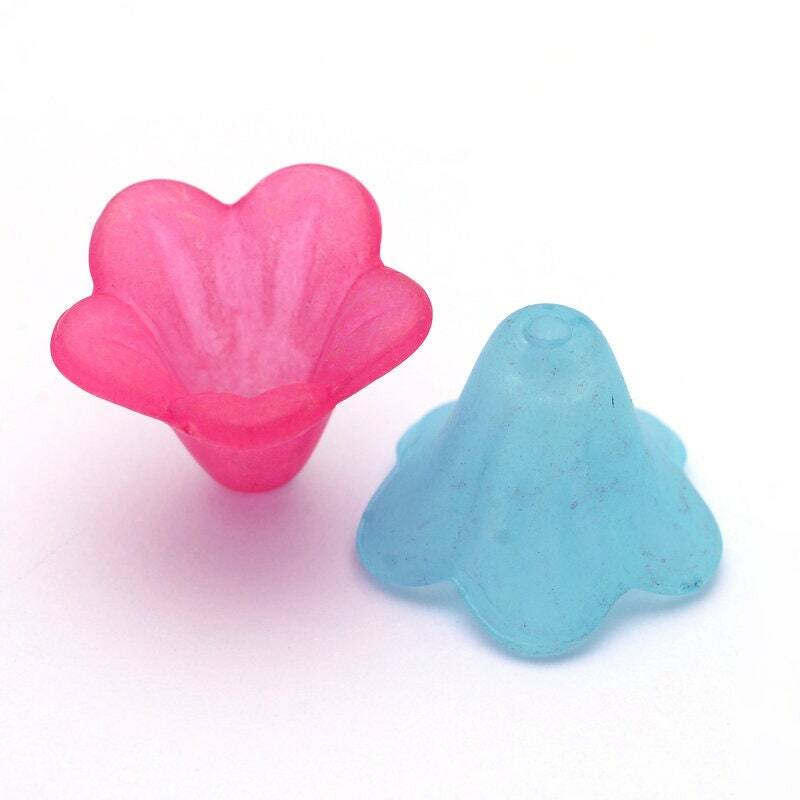 You will receive 50 beads in a mixture of colors. Even prettier in person. Love ❤️ these beads. Packaged so well.